Solar technology has become one of the most rapidly advancing technologies in today’s times. The technology has become quite mainstream and has been successful in reaching all corners of the world. It is now not uncommon to see solar powered street lights, water pumps or solar carports everywhere – be it in cities, towns or villages. The social impacts of solar energy are many. My motto here on Greenworldinvestor is to promote solar for a social cause (#solarforasocialcause) ie. highlighting how solar energy can be smartly deployed to change the lives of masses. Not only is the solar industry generating millions of jobs, but it has also come a long way in reducing dependence on the electricity grid. With power backup technology becoming more affordable in times to come, countries can adopt solar power on large scale and reduce their dependence on costly oil imports. Overall, the impact on the environment and health will also be visible when solar energy is adopted on a large scale. 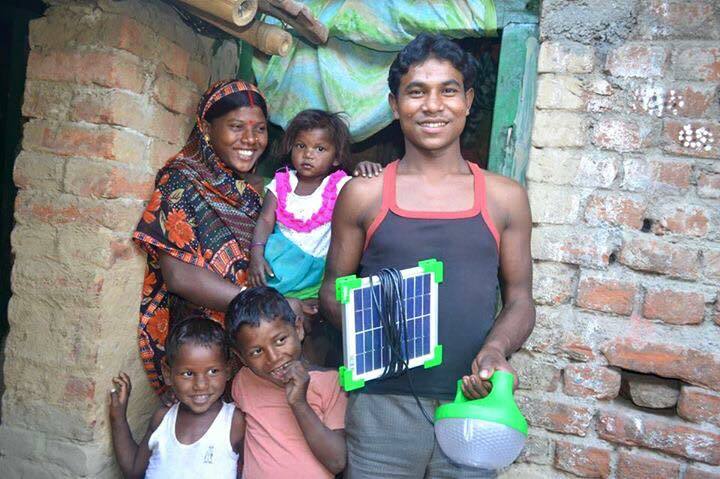 Realizing the potential of solar energy in uplifting the weaker sections of the society, many corporates, start-ups, and NGOs have distributed solar powered products such as lights, fans, chargers etc. to villagers and small-town dwellers. We have been hearing about how micro and mini-grids are making villages independent of the grid. Governments worldwide are granting subsidies and grants to farmers to deploy solar powered water pumps. And all these efforts are surely making the life of a common man much easier and happier. The health of families has also improved due to non-usage of kerosene lamps. Earlier village guys had to run to nearby towns just to get their phones charged, but with solar-powered chargers, it has become much more convenient. Life does not come to a standstill after the sun goes down now. Children can study, while ladies can continue doing their household chores with the help of solar lamps. Many ladies have started sewing clothes and selling them and contributing to the household income with the help of solar-powered sewing machines. The success stories are many. Solar power has great potential in improving the lives of people. In order to spread awareness around the social benefits of solar, tag any such posts/ blogs/ stories as #solarforasocialcause . Let’s make the world a better place!